A. Orientation means a image/video can be set horizontally or vertically or auto as per your wish. 1. 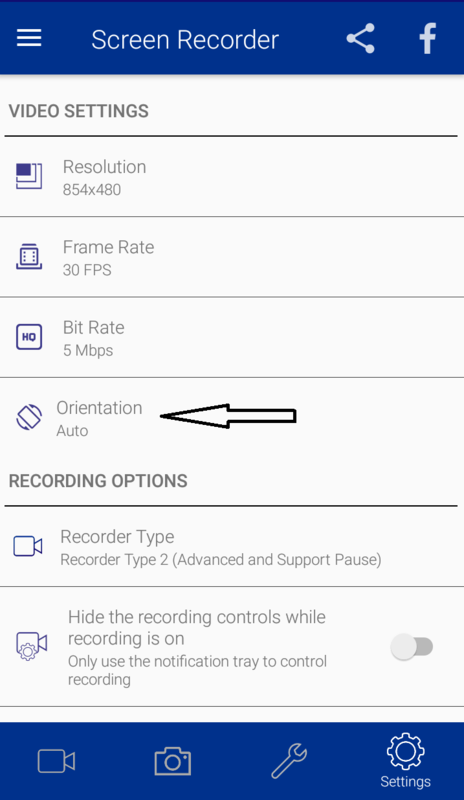 Open Screen Recorder app and go to "settings". 2. 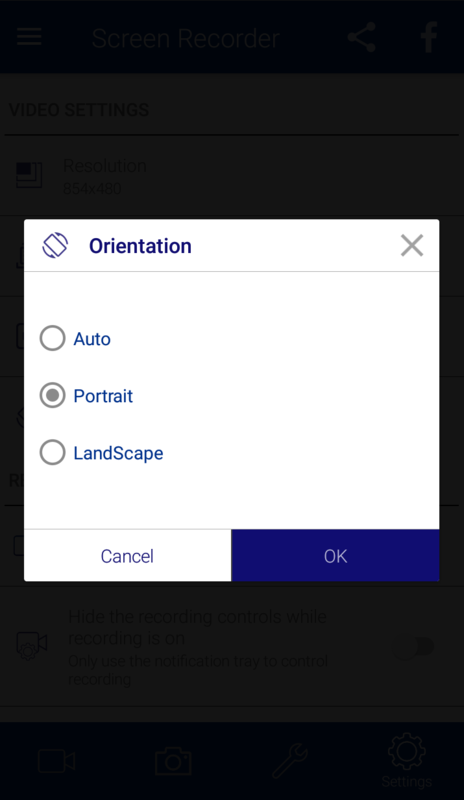 You can set your image/video as you want i.e in landscape or portrait. 3. You can set it auto also. 4. Click "Ok" to apply changes.